Smashed your Galaxy S3 Screen? Screen no longer lights up? Need just the glass film replaced? Then you have come to the right place, we offer repairs to both the Samsung Galaxy S3 i9300 & and the i9305 4G LTE model. For other Samsung Galaxy S3 Repairs click the link. Phone Ninja are the Galaxy S3 Screen Replacement Specialists. 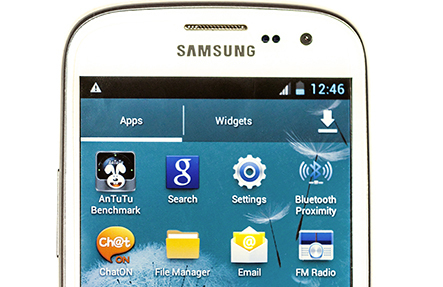 Galaxy S3 Screen Repairs is something that we do all day every day. we offer all types of screen repairs, most notably glass only repairs. glass only repairs save you money as your lcd is salvaged for later use, lowering the price paid by the customer. All S3 screen replacements come with a new frame to keep your phone looking like new! * This repair replaces only the glass screen trading in your touch & LCD (picture must work) for a new screen. All work is done by professionals in a dust-free environment with only quality parts used. The frame which is the border around the screen is also replaced for free unlike other repairers. ** Replaces the entire Screen with Frame. Perfect for those who have damaged their touch screen or LCD.